Police are still looking for the son, who now faces a murder charge. STONE MOUNTAIN, Ga. — A man accused of killing his mother in a vicious attack is now wanted by DeKalb Police. Around 9:30 a.m. Saturday, police said Shirley Merritt’s son, Richard Merritt, stabbed her to death inside of her home located on Planters Row. Merritt is 44 years old, about 5 feet 10 inches tall and 175 pounds with brown eyes and brown hair. Police have issued a warrant for his arrest on a charge of murder. He may be driving his mother’s brown 2009 Lexus RX350 with a Georgia tag reading CBV6004. Anyone with information on the whereabouts of Richard Merritt is asked to call the DeKalb County Police Department at 770-724-7850 or Crime Stoppers at 404-577-8477 (TIPS). Atlanta Attorneys Are On a Roll For Disciplinary Action, Bout Time Some Get Caught Up in Their Crimes! Atlanta Attorney Robert Thompson Jr.
Two Georgia attorneys—both under suspension by the State Bar of Georgia—have defaulted on a 2013 suit filed by a Douglas County couple who say they paid the lawyers thousands of dollars to forestall foreclosure proceedings only to lose their home when neither lawyer performed any services. One of the defendants is attorney Robert Thompson Jr., who was suspended earlier this year after failing to respond to an ongoing investigation by the bar’s disciplinary committee. 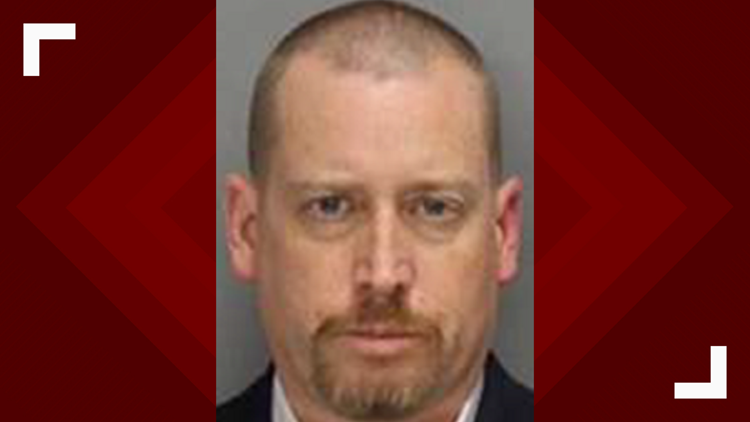 Thompson also was arrested in February and charged with misappropriating $37,440 of a client’s funds; his then-attorney told the Daily Report he had paid back more than $30,000 of the money. A criminal charge of theft by conversion is pending against Thompson in Fulton County Superior Court. The phone number for his firm, the Thompson Law Group, has been disconnected. The other attorney, Rodd Walton, has no disciplinary record with the bar but is under suspension for nonpayment of dues. Walton was arrested in 2009 when he attempted to enter the Cobb County Courthouse with a loaded handgun on the day he was to attend a hearing concerning a motion for reconsideration after being ordered to pay a former client $43,000 in restitution and attorney fees. When his 2009 arrest was reported in this newspaper, a website for Walton’s Legacy Law Group said he was a former deputy counsel for Glock Inc., the maker of the gun he was carrying when he was arrested. On Thursday there was no immediate response to a message left on Legacy’s phone system, and no email is listed for Walton with the bar. In the Fulton County suit, Michael and Cindy Bentley’s pro se complaint said they fell behind on their mortgage and in October 2011 paid Walton $3,000 to fight foreclosure proceedings. Walton “did absolutely nothing” on their behalf, it said, and when they requested information on their case he demanded another $3,500. The Bentleys refused and demanded their $3,000 back. Walton first agreed, then told them he would refund nothing, it said. In March 2012, they retained Thompson for $5,750. He “did nothing for a full year,” then demanded $500 to file a complaint. Thompson filed the complaint but failed to respond to the mortgage bank’s motion to dismiss or to inform the Bentleys that it had been filed, according to their complaint. The bank’s motion went unanswered, and the court granted it by default. The Bentleys’ house was foreclosed. Neither lawyer responded to the Bentleys’ suit, and they too moved for a default judgment. According to an order entered Thursday by State Court Judge Patsy Porter, Thompson appeared at an Oct. 15 hearing on the default motion and said that he had filed an answer with the clerk but that it had not been uploaded to the court’s e-filing system. Porter instructed Thompson to upload a copy of his answer, but he failed to do so, she wrote. With TEPCO having finally given up fighting the onslaught of radiation pouring into the Pacific Ocean, and considering the breeder reactors were creating weapons grade plutonium, it ain’t over, and may never be over. Our govt. don’t care enough to be honest with us. Down the road, several years from now, when all of us, lying there dying from cancer, think back on it, we will put two and two together. Some of us will anyway, and will know that the horrible death we are being put through, was the Japanese’s way of payback for nuking them! The highest I-131 level reported in vegetation from the West Coast is 462 pCi/kg in Central California. The March 22 South Florida sample is nearly triple that amount. OCCUPY.COM Expose Courts Blocking the Public From Sitting In On Trials In Georgia Courts, What Better Way to Show How Corrupt The Courts Are? OCCUPY.COM EXPOSES GEORGIA’S COURTS DENYING THE PUBLIC ACCESS TO COURT PROCEEDINGS! I am quite pleased that someone took notice. 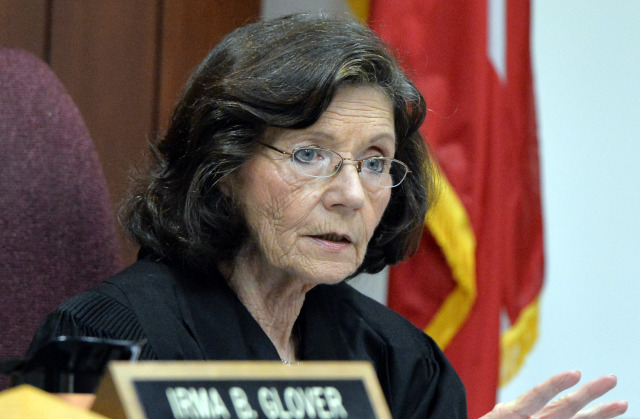 The Judges in Georgia are akin to little despots. No doubt, a Judge is God in their Courtroom, but they don’t have the right to Deny the public access, so that they can violate one’s Civil and Constitutional Rights while they sneakily do it. 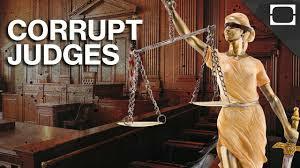 Courtrooms aren’t just a place where justice is served and legal decisions are made. They are also a place for the public to go and see how the justice system works: people enjoy viewing trials and hearings, even if they have no personal stake in them. Viewing public trials is the public’s legal right. However, revelations by a judicial oversight commission in Georgia show that numerous judges in the state, including some in Atlanta, are violating the law by denying public access to courtrooms in cases ranging from bail hearings to standard trials. There are some cases in which closing courtrooms to the public is legal, and the circumstances for this are carefully outlined in official Georgia State documents that make the points for legality clear. But according to a recent report in The Atlanta Journal-Constitution, investigations by the state’s judicial oversight commission found the practice of sealing off courtroom access widespread across Georgia — and in most cases, illegally. Instead of typical open courts, there are now signs posted on courtroom doors stating access is denied to either the general public or specific groups of people, including kids. Bailiffs sometimes stand in place of the signs, blocking entry to the court despite people’s legal right to go in, said Robert Ingram, an attorney from Marietta, Ga., and chairman of the state’s Judicial Qualifications Commission. “We’ve had our own investigators and commissioners go out and visit a courtroom and they have been greeted by a bailiff or a deputy sheriff and been told to state their business or otherwise they don’t need to be there,” Ingram said. But why the closed rooms and bans on view judicial proceedings in the first place? 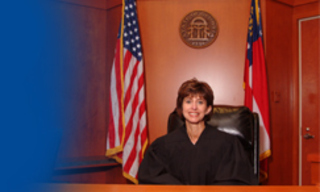 Under Georgia’s law, closing off or banning someone from the courtroom can be done at a judge’s discretion. For instance, an unruly or disruptive person, whether child or adult, can be removed. Or there may be a case not considered proper for people under the age of 18 to attend. More often, however, judges these days claim they are keeping out the public because of lack of space in the courtroom. 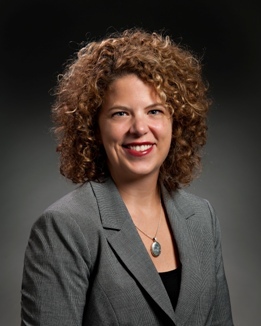 One instance that put this closed court behavior in the spotlight was the jury selection for Andrea Sneiderman, in which DeKalb Superior Court Judge Gregory Adams lifted the public ban stating that people who wished to be present for the selection had the right to do so. Seemingly arbitrary court closures by judges in the Peach State are nothing new. 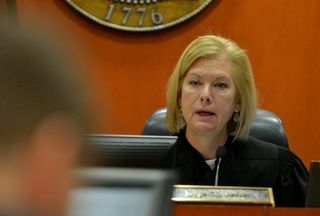 Back in 2011, Barbra Mobley, a DeKalb County State Court Judge, resigned after investigations were launched by the Judicial Qualifications Commission alleging that her court featured bailiffs questioning people illegally about why they wanted to observe the cases on the docket. The phenomenon is occurring statewide. In both Crisp and Ben Hill counties, the Southern Center for Human Rights (SCHR) filed suit against the practice of closing courts to the public. In those counties, it’s been common that courts remain closed off even to the family members of both victims and the accused, other than their attendance at guilt pleas during the trials’ conclusions. Further investigations have showed that closed courts are more common than first thought. According Gerry Weber of SCHR, this is causing a major problem with transparency. 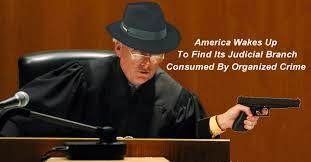 “A closed courtroom is one that is less accountable to the public. What is done behind closed doors can be different to what is done in the cold light of day,” he said. Many judges are following the closed court lead, including Judge T. Jackson Bedford of the Fulton County Superior Court, Judge Clarence Seeliger of the DeKalb County Superior Court, and Judge Patsy Porter of Fulton State Court. Attempts by The Atlanta Journal-Constitution to contact these servants of the people were unsuccessful, as were the attempts made by Occupy.com. There are some positive signs as well, however. Judge Christopher Brasher of Fulton Superior Court says he was unaware that the practice of closing courts was occurring in his courtroom, and quickly put a stop to it. Brasher attributed the action to “overzealous deputies, who provide security and order.” He has since ordered that no one be keep out of the court, and that no signs excluding any specific group be put up without his written consent. Judges Todd Markle and Robert McBurney, both of Fulton Superior Court, say they were not aware the public was being deterred with signs from entering their courts, and that this step was taken without their permission. However, there is debate about the judges’ knowledge of the situation. Each county sheriff’s department is responsible for court security, and Fulton County Sheriff’s Department spokesperson Tracy Flanagan says they do not make or affix signs nor are signs permitted without the consent of the presiding judge. The Judicial Qualifications Commission issued an opinion on the matter, from the commission’s director Jeff Davis who said massive amounts of complaints have come from the public about access to courtrooms. “Our efforts to educate judges about these issues have resulted in the type of response we would have anticipated,” said Davis. Now The News Is Told That They Are Not to Continue Reporting on Ebola, WHY? From a Trusted News Source.. Earlier today we were contacted by a customer asking if we had received a tap on the shoulder by the CDC telling us to stop reporting on developments concerning Ebola. This individual’s motivation was the sudden drop off in message traffic from our service over the past 10 days. For the record, NO, we have not received such a request, nor would we comply. Why has the overall tempo of Ebola stories slowed to a trickle? Why has the overall tempo of suspected case reports from hospitals and health departments dropped off? 1. Control the source of the news (hospitals and health departments). 2. Control the propagation of the news (mainstream news outlets and wire services). It would seem that our new Ebola Czar has been hard at work behind the curtain. The takeaway here is concerning on multiple levels and should serve to highlight, yet again, that mainstream reporting and information sharing by public agencies is not quite as free and independent as the public may think. Despite this blackout of sorts,receives a steady stream of information from other sources nationally and globally. Before anything is reported to you, we always seek secondary and tertiary confirmation so as to maintain accuracy. This directly translates into trust in the service. We deal in black and white facts. No grey matter. No rumors. That said, healthcare workers, public health professionals and members of the armed services have privately have informed us of the details of numerous additional CONFIRMED cases of Ebola quietly being treated at medical facilities in multiple locations across the U.S.. Many of these have been transported to CONUS from abroad. But without solid confirmation upon which we can stake the reputation of the company, the blowback could be significant. MOSCOW, November 4 (RIA Novosti) – America’s largest banking company JPMorgan Chase said the US Department of Justice was probing its foreign exchange operations, with legal procedures expected to cost it up to $5.9 billion, Reuters said on Tuesday. The agency cited JPMorgan as saying in its regulatory filing that US criminal investigators were looking into its spot foreign-exchange trading business and associated controls. It added the bank has been in talks with the Justice Department but noted there was “no assurance” that these negotiations would eventually lead to a settlement. JPMorgan Chase is a multinational banking and financial services holding company with assets estimated at a total of $2.5 trillion. Throughout its 14-year-long history, the company has stood accused of mortgage overcharging, alleged manipulations of the energy market, sanctions violations and obstruction of justice by its employees. Caroll Quigley (1910-1977) taught at Princeton, Harvard and Georgetown Universities. 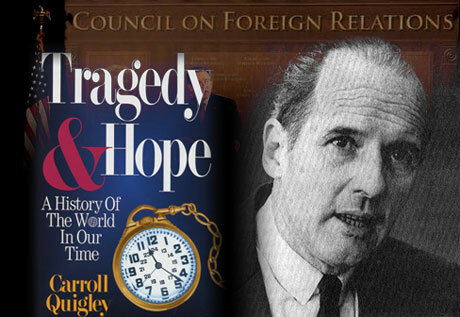 In his book,Tragedy and Hope, (1966) he confirmed that private merchant bankers create money out of nothing and control world affairs to their advantage. In effect, this creation of paper claims greater than the reserves available means that bankers were creating money out of nothing. The same thing could be done in another way, not by note-issuing banks but by deposit banks. Deposit bankers discovered that orders and checks drawn against deposits by depositors and given to third persons were often not cashed by the latter but were deposited to their own accounts. Thus there were no actual movements of funds, and payments were made simply by bookkeeping transactions on the accounts. Accordingly, it was necessary for the banker to keep on hand in actual money (gold, certificates, and notes) no more than the fraction of deposits likely to be drawn upon and cashed; the rest could be used for loans, and if these loans were made by creating a deposit for the borrower, who in turn would draw checks upon it rather than withdraw it in money, such “created deposits” or loans could also be covered adequately by retaining reserves to only a fraction of their value. Such created deposits also were a creation of money out of nothing, although bankers usually refused to express their actions, either note issuing or deposit lending, in these terms. William Paterson, however, on obtaining the charter of the Bank of England in 1694, to use the moneys he had won in privateering, said, “The Bank hath benefit of interest on all moneys which it creates out of nothing.” This was repeated by Sir Edward Holden, founder of the Midland Bank, on December 18, 1907, and is, of course, generally admitted today. Pg. 51: The merchant bankers of London had already at hand in 1810-1850 the Stock Exchange, the Bank of England, and the London money market when the needs of advancing industrialism called all of these into the industrial world which they had hitherto ignored. In time they brought into their financial network the provincial banking centers, organized as commercial banks and savings banks, as well as insurance companies, to form all of these into a single financial system on an international scale which manipulated the quantity and flow of money so that they were able to influence, if not control, governments on one side and industries on the other. The men who did this, looking backward toward the period of dynastic monarchy in which they had their own roots, aspired to establish dynasties of international bankers and were at least as successful at this as were many of the dynastic political rulers. The greatest of these dynasties, of course, were the descendants of Meyer Amschel Rothschild (1743-1812) of Frankfort, whose male descendants, for at least two generations, generally married first cousins or even nieces. Rothschild’s five sons, established at branches in Vienna, London, Naples, and Paris, as well as Frankfort, cooperated together in ways which other international banking dynasties copied but rarely excelled. Pg. 324: The powers of financial capitalism had another far-reaching aim, nothing less than to create a world system of financial control in private hands able to dominate the political system of each country and the economy of the world as a whole. This system was to be controlled in a feudalist fashion by the central banks of the world acting in concert, by secret agreements arrived at in frequent private meetings and conferences. The apex of the system was to be the Bank for International Settlements in Basle, Switzerland, a private bank owned and controlled by the world’s central banks which were themselves private corporations. Each central bank, in the hands of men like Montagu Norman of the Bank of England, Benjamin Strong of the New York Federal Reserve Bank, Charles Rist of the Bank of France, and Hjalmar Schacht of the Reichsbank, sought to dominate its government by its ability to control Treasury loans, to manipulate foreign exchanges, to influence the level of economic activity in the country, and to influence cooperative politicians by subsequent economic rewards in the business world. Pg. 326-327: It must not be felt that these heads of the world’s chief central banks were themselves substantive powers in world finance. They were not. Rather, they were the technicians and agents of the dominant investment bankers of their own countries, who had raised them up and were perfectly capable of throwing them down. The substantive financial powers of the world were in the hands of these investment bankers (also called “international” or “merchant” bankers) who remained largely behind the scenes in their own unincorporated private banks. These formed a system of international cooperation and national dominance which was more private, more powerful, and more secret than that of their agents in the central banks.